Your Infinite Impact starts here. The Infinite Impact Campaign will support growth throughout MSU initiatives for generations to come. 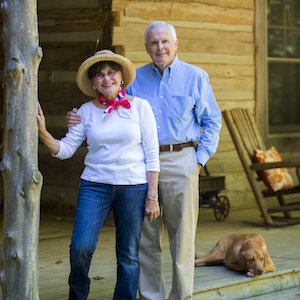 This Mississippi couple entrusts treasured family land to Mississippi State University, and their gift will impact generations. Through pioneering research, this associate professor impacts worldwide health and mentors high-caliber students along the way.